Comfort joined Crown Agents as the Regional Director, West Africa in April 2018 after nearly a decade of working with African governments and business leaders to accelerate Africa’s global competitiveness. For her achievements across the continent, she was awarded the Prestigious Africa’s Most Influential Women in Business and Government (MIW) Award. She is listed by AngelHack as 1 of 15 Female Entrepreneurs Disrupting The Status Quo globally. She is listed as one of Africa’s top 40 most powerful and influential voices by AWP Network. She is the first awardee of the Innovative Leader Scholarship for Magazine Publishing at the Yale School of Management. 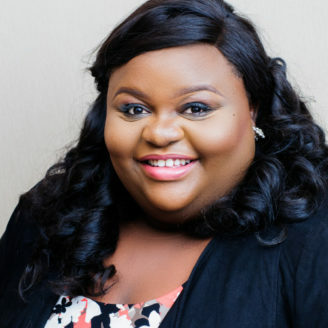 She is a member of the Board of Directors of the U.S.-Africa Chamber of Commerce, a mentor for the Cherie Blair Foundation for Women, and a judge for the African Entrepreneurship Award by BMCE Bank of Africa. She has been featured in numerous global media outlets including Diplomatist Magazine, The Globalist, NTA; The Guardian, Vanguard, Change TV, The Fletcher Forum of World Affairs (Tufts University), amongst others.